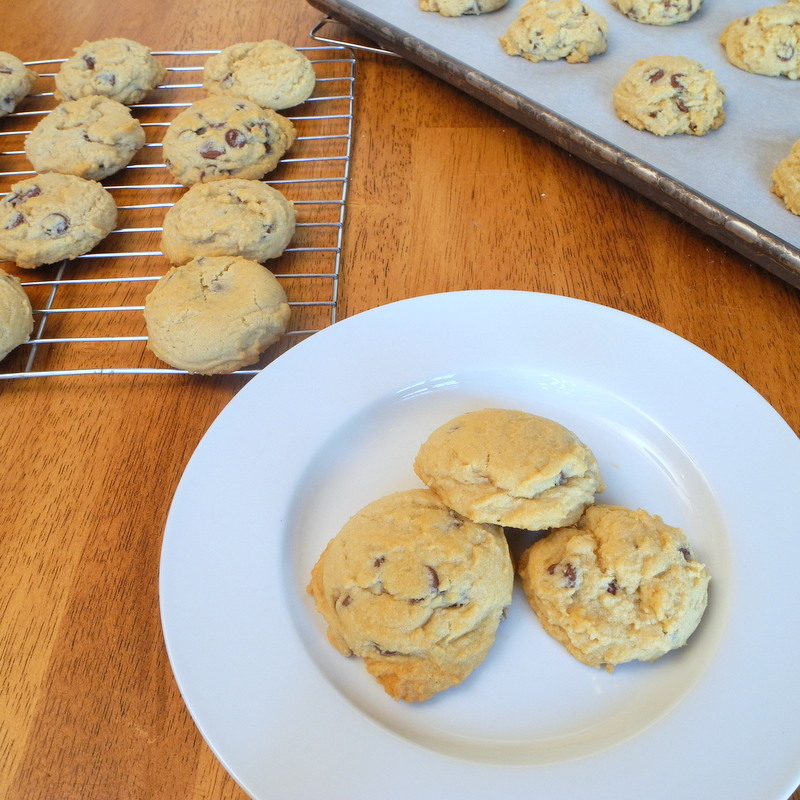 I have been trying different chocolate chip cookie recipes in search of the perfect chocolate chip cookie, and this is the best so far. I still think I am going to tweak it a bit, and will share it with you when I do, but this is really good as it is. It has just a little bit of cornstarch it, and I think that is the biggest difference. 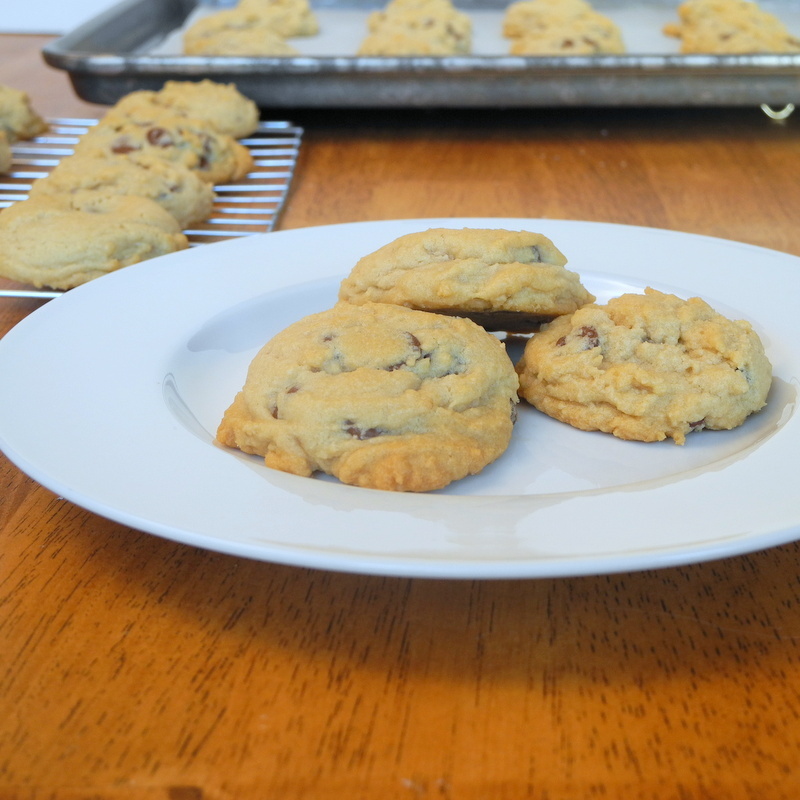 They don’t spread and become flat like a lot of chocolate chip cookies. I very slightly adapted this recipe from Kelsey at Apple a Day on Pintrest. She adapted it from this recipe by Anna Olsen from Food Network Canada. Preheat oven to 350 degrees. Line two large baking sheets with parchment. Whisk together flour, cornstarch, baking soda, and salt. Set aside. In the bowl of an electric mixer, cream together butter and sugars until light and fluffy. Add eggs and vanilla and mix until well combined. Stir in chocolate chips. Drop by rounded tablespoon full onto prepared pans. Bake for approximately 10 minutes or until the edges just begin to turn golden. Cool before eating. 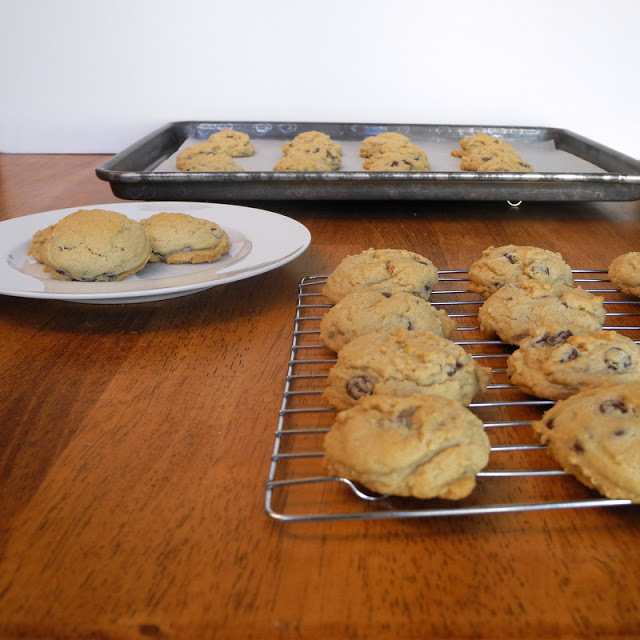 Source: Best-Ever Chocolate Chip Cookies by Kelsey at Apple a Day via Pinetrest who adapted this recipe by Anna Olsen from Food Network Canada.